The Certificate and Browser industry standards are continuously being reviewed and adjusted to meet the demands of an ever changing threat environment. Providers have a lot to keep up with, but so do users of SSL certificates. In July 2012, the CA/Browser Forum, the industry standards board for Certificate Authorities and the browsers that use Certificates, made a decision to deprecate the usage of reserved IP addresses and internal names for certificates, effective November 1st 2015. All such certificates still outstanding must be revoked by October 31, 2016. At this point, this may seem like a long ways away. However, the task of migrating to new compliant certificates where needed cannot begin soon enough. These rules are being implemented to eliminate vulnerabilities that place an organization at risk from hackers. A malicious actor with these certificates could go on to perform man-in-the-middle attacks on closed networks such as public or corporate WiFi. Some of these previously internal names may now even be registered in public DNS with the introduction of the new gTLDs. One example would be the new gTLD ‘.exchange’. 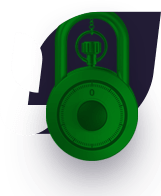 Trusted certificates issued by certificate authorities like Comodo are generally issued to ‘real’ public domain names, such as ‘comodo.com’. The certificate authority can validate that a single organization has unique control or ownership of such a ‘real’ domain name before signing and issuing the certificate. Therefore, it meant that anyone could obtain a trusted certificate for the internal names. A reserved IP address is an IPv4 or IPv6 address that the IANA has marked as reserved: These IP addresses may be used for maintenance of routing tables, multicast, operation under failure modes, or to provide addressing space for public, unrestricted uses. Refer to Wikipedia for a complete list of reserved IP addresses. Comodo currently will only issue a Certificate with a Subject Alternative Name (SAN) extension or Subject Common Name field containing a Reserved IP Address or Internal Server Name if the expiry date is prior to November 1, 2015. 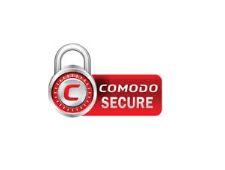 After October 31, 2015 Comodo will not issue any Certificates with a Subject Alternative Name (SAN) extension or Subject Common Name field containing a Reserved IP Address or Internal Server Name. 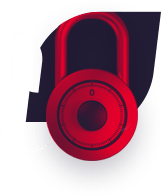 As of October 1, 2016 Comodo will revoke all unexpired Certificates with a Subject Alternative Name (SAN) extension or Subject Common Name field containing a Reserved IP Address or Internal Server Name. If you are using internal names, you must configure those servers to use a public name or switch to a certificate issued by an internal CA before November 1, 2015. What Can I Do If My Organization Already Uses A Trusted Internal Domain Certificate? There are several options available. One option is to reconfigure any systems to use a publicly-registered domain name. The fully-qualified name in the certificate does not need to resolve in public DNS, or be accessible from the public internet. For example, migrating ‘myserver.local’ to ‘myserver.mydomain.com’ does not mean that the server needs to be accessible on the internet, or the DNS record for ‘myserver.mydomain.com’ be resolved outside of your network.